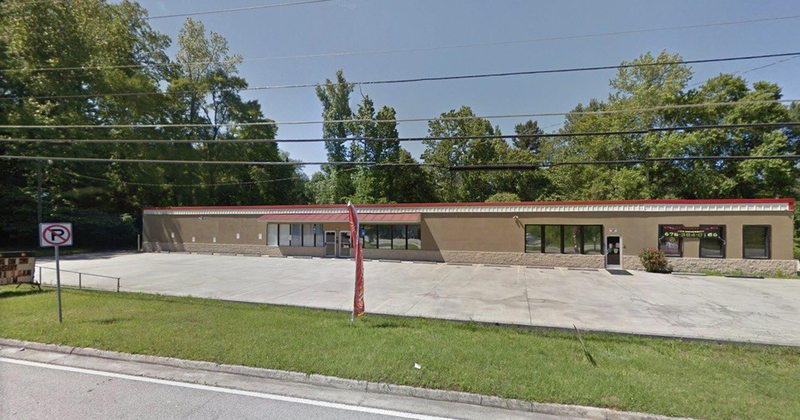 Bull Realty, Inc. is pleased to offer for sale 5344 Buford Highway NE, a two-tenant building with great visibility on one of Atlanta's most popular thoroughfares. This property is conveniently located inside the perimeter, near I-285. This two-tenant building is currently home to a hair salon and has one ± 800 SF available unit. The units are metered separately and have individual street signs in place. The property sits on a 0.2 acre parcel and has approximately 14 parking spaces. Celebrated as the "Best Neighborhood for Diversity," by Creative Loafing, Buford Highway is home to over 1,000 immigrant owned businesses. Ethnically diverse businesses cover the area with many authentic dining and shopping options. Constructed by the current owners in 1983 and 1988, 2340 and 2342 Perimeter Park Place were well built and thoughtfully planned to serve the seller’s company for the past 30+ years. With multiple executive offices, associate offices, conference rooms, and ancillary rooms, the two buildings can serve a variety of professions. The two buildings can be sold separately or to one buyer and easily integrated. The owners have used different areas of the two buildings for their business over the years and easily leased out the other sections of the building. 4900 Stone Mountain Highway is located in the growing suburb of Lilburn, GA on a heavily trafficked portion of Stone Mountain Highway/Highway 78 which sees over 75,000 vehicles per day. It is situated across from a Lowe's and several national (Quick Service Restaurants) QSRs and retailers. The ±2.5 acre site is offered as a whole or two retail pads of ±1.49 and ±1.01 acres. The owners would also consider ground-leasing/building-to-suit for a credit tenant. Gwinnett County C-2 zoning allows for extensive options of commercial uses. 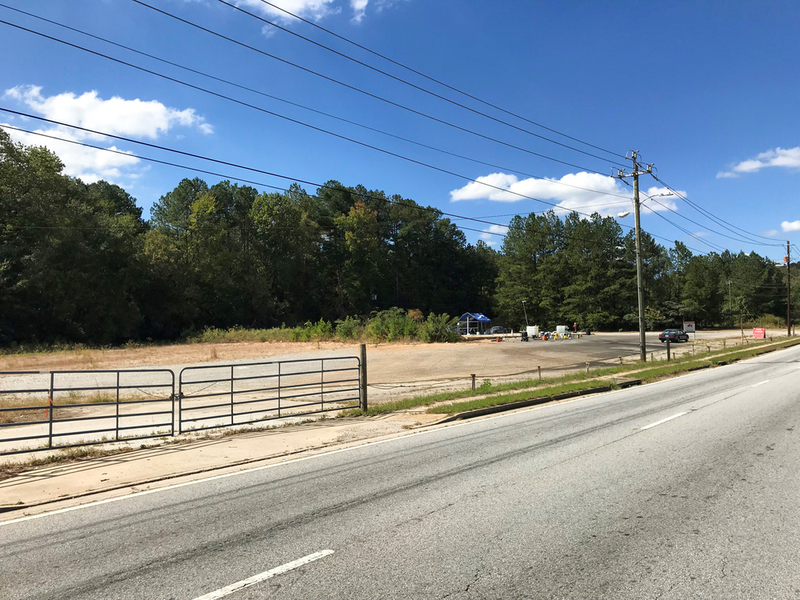 This is an excellent opportunity for ground lease, sale or build to suit on Highway 78 in Lilburn. 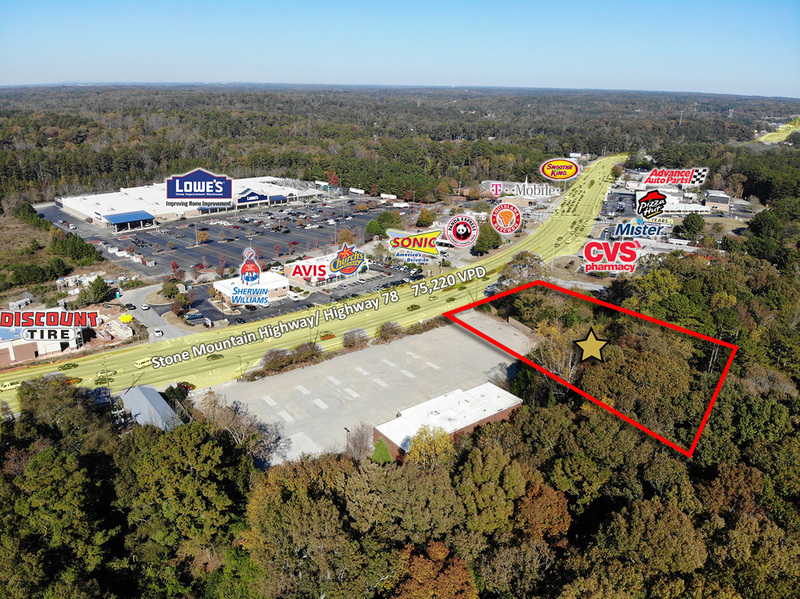 Located across from Lowe's Home Improvement store and minutes from Stone Mountain National Park, this location off of Hwy 78 offers excellent visibility and exposure with over 70,000 vehicles per day. This 2.5 acre site with an existing 4,555 SF C-Store building, also offers the possibility of acquiring an additional 0.93 acre site parcel. Please contact agent for more information. 3.28 acre C1C zoned commercial parcel. Month-to-month tenant covers carrying costs for investor looking to buy and hold. Seller financing with flexible terms available. 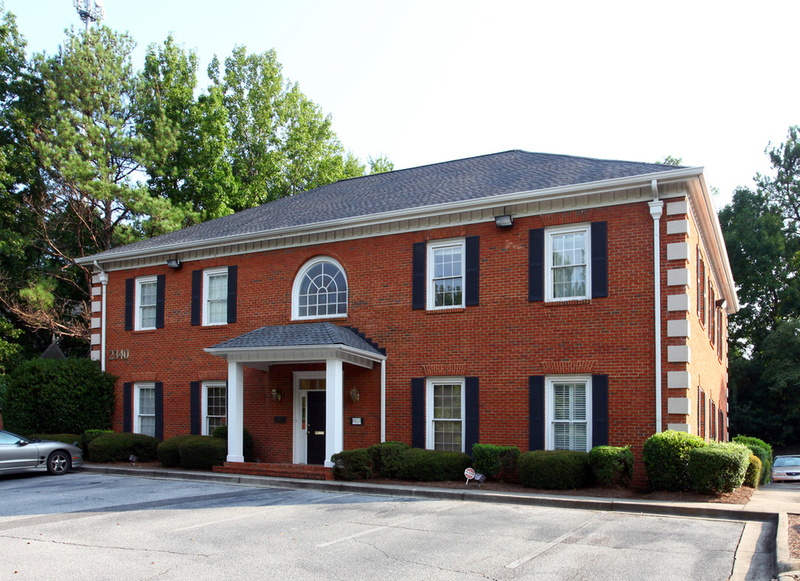 Opportunity to acquire a well-located, value-add office building in Norcross, GA. This freestanding building features excellent visibility on Buford Highway with prominent monument signage. The subject property is located within an approved Opportunity Zone. With easy access to I-285 and I-85 thoroughfares, the property is within reach of excellent amenities that downtown Atlanta and suburban communities have to offer. Zoned C2, the property allows for a wide range of retail and office uses. The building is currently vacant, making it a great owner/user opportunity, or value-add opportunity for an investor looking to redesign the image of the property and reposition the asset long-term. Auto/office building ideal for automotive uses or for a contractor that needs a lot of storage space for equipment. Could be considered warehouse space as well. Zoned GB. Sits on 1.5 acres. Adjoining to 3 acres at 2333 Old Rex Morrow Rd. 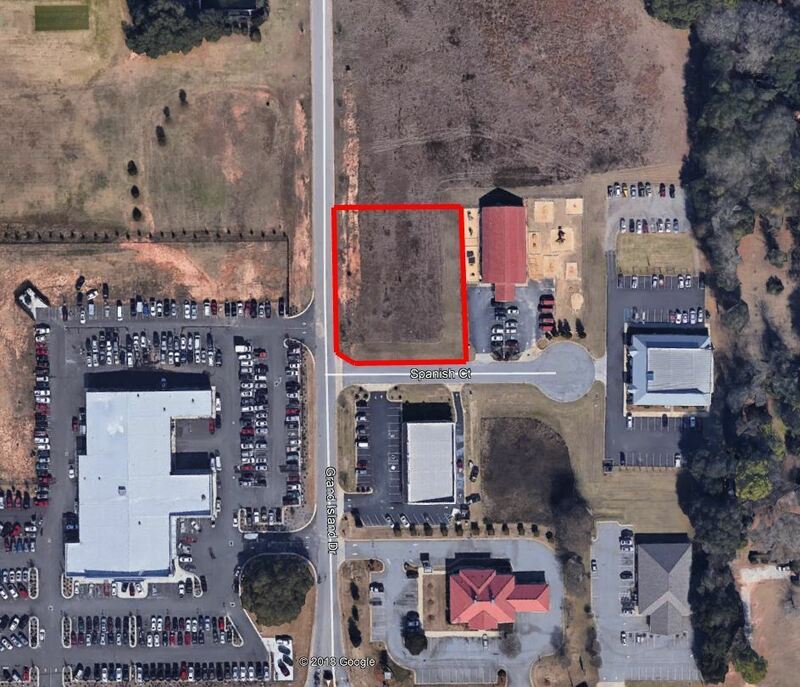 Located in Fulton county in an excellent location near downtown Palmetto, this R7 zoned site is situated on ±13 prime acres ideal for townhomes or small rental community. See plans for 137 townhome units on p.10 of Offering Memorandum. 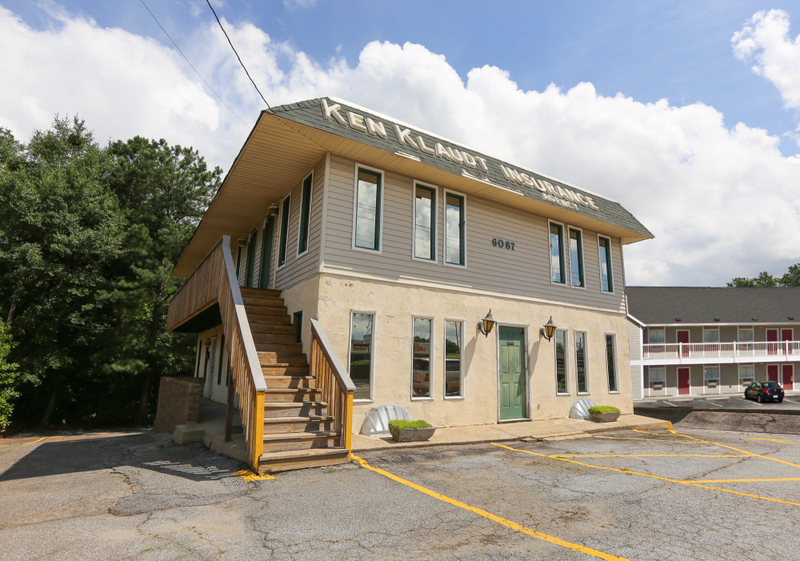 High-exposure freestanding commercial building with ample parking in downtown Fairburn. Situated next to a CVS pharmacy and the popular Hudson Plaza retail center this high exposure property was once home to a bank and has a drive-thru window in tact. Benefits from a large 0.56 acre lot and flexible DC-2 (Downtown Commercial District) zoning allows for a variety of retail, office, and other commercial uses. Currently configured as one space, but could easily be configured for multiple tenants. 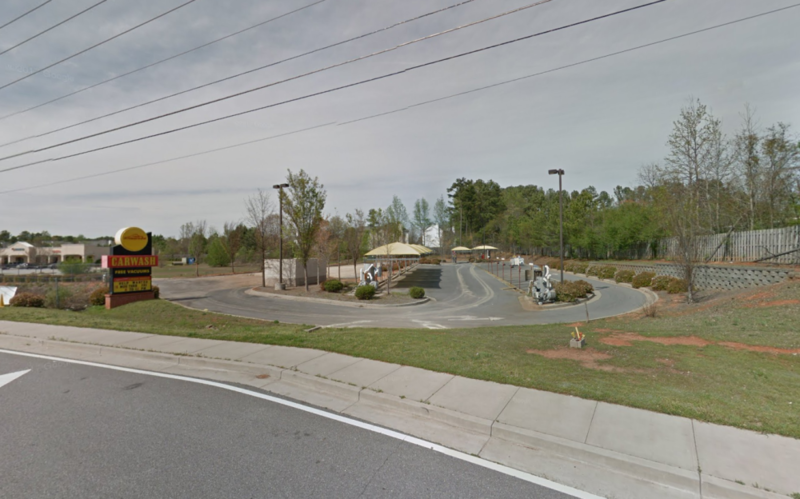 This ± 10,000 SF two-unit building retail building is located in Hiram, Paulding County, GA (Atlanta MSA). 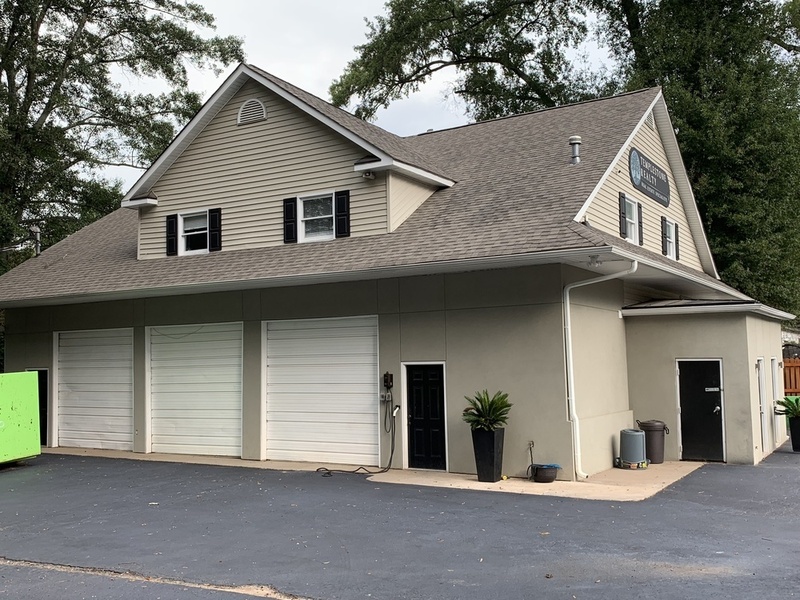 The building is situated on a ± 1.19 acre site just west of the Hiram-Douglasville Hwy (Hwy 92,) which has a turn lane into the property from Hiram Sudie Rd. Currently, the owner operates a gym occupying ± 5,500 SF which will be vacated upon sale and a church occupies the remaining ± 4,500 SF with approximately 1.5 years remaining on a 2 year lease. Current rent is $1,870/monthly. 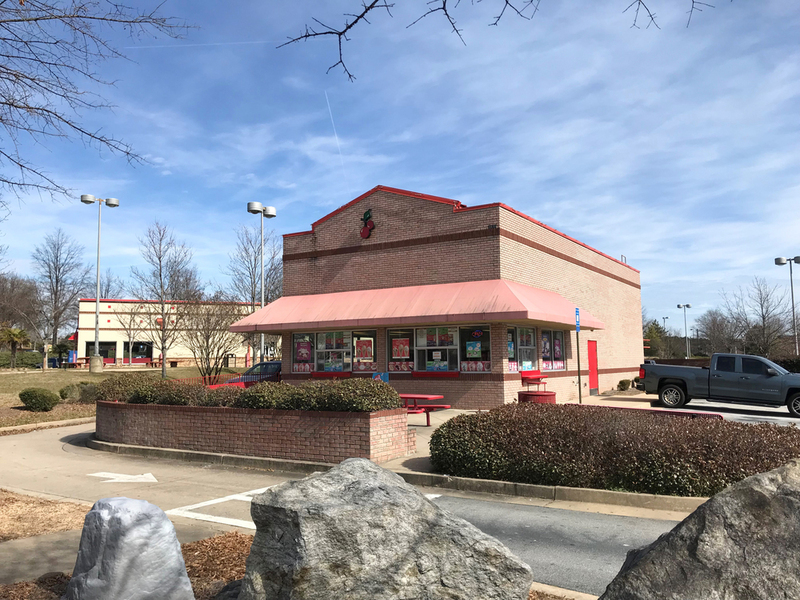 This property is located approximately 1.7 miles south of Jimmy Lee Smith Parkway, 10 miles north of Interstate 20 and 26.4 miles west of Downtown Atlanta. Nearby retailers include Target, Home Depot, Kohl's and many others. Albany is a growing market with expansive development and construction underway. Numerous new projects in the surrounding area include expanding roads, constructing new single-family communities and a potential senior living facility. Adjacent to the property is a 150-acre potential mixed-used development site that may include retail, residences and restaurants. Many national retailers have expressed interest in this rapidly expanding market. This site is ideal for fast food or single tenant applications as the flexible zoning allowing numerous uses. 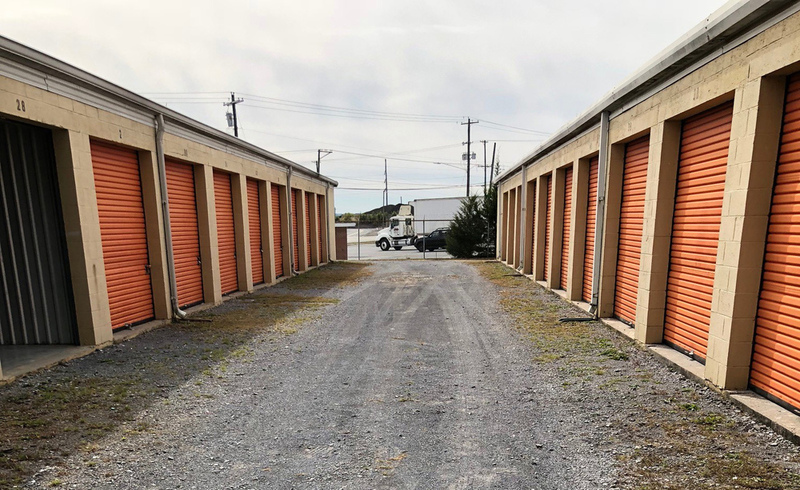 Bull Realty is pleased to offer this opportunity to own a fantastic value-add 10,896 SF self storage property with room for expansion on 1.3 acres in beautiful Calhoun, Georgia. The current property features 67 units, with a mix of 4 prime sizes only, 10x20, 10x10, 9x18 and 9x9. There is ± 0.03 acres of undeveloped land for a great growth opportunity. The average rents for the area on a 10x20 drive-up unit is $100, so there is room to continue to increase rents. The facility has had consistent occupancy of 89% and is an excellent opportunity at a 8.2% cap rate to enter the self storage sector. 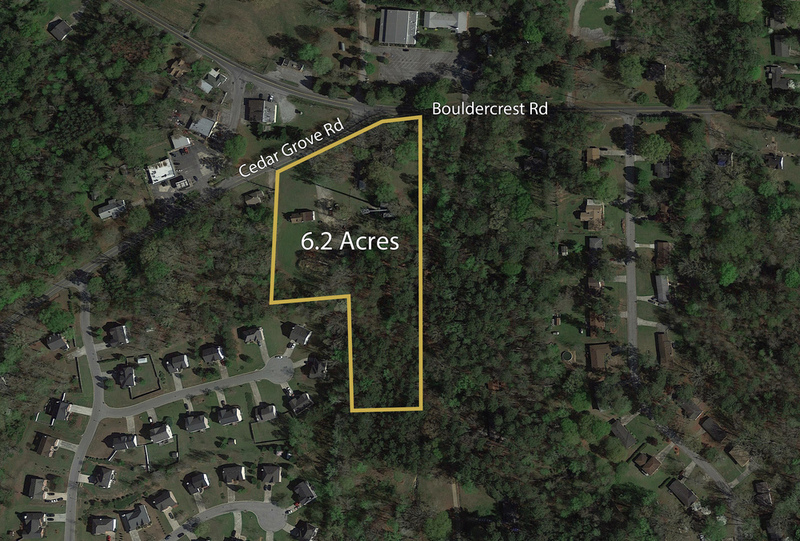 This property is located on the Highway 53 spur (Oothcalooga St.), less than 1 mile from Highway 41 and 3 miles from Interstate 75. Area attractions include, Georgia Northwestern Technical College, Calhoun Motorcross Park, Habitat for Humanity, Calhoun Aquatic Center, Calhoun-Gordon County Library and the Municipal County Court Houses. 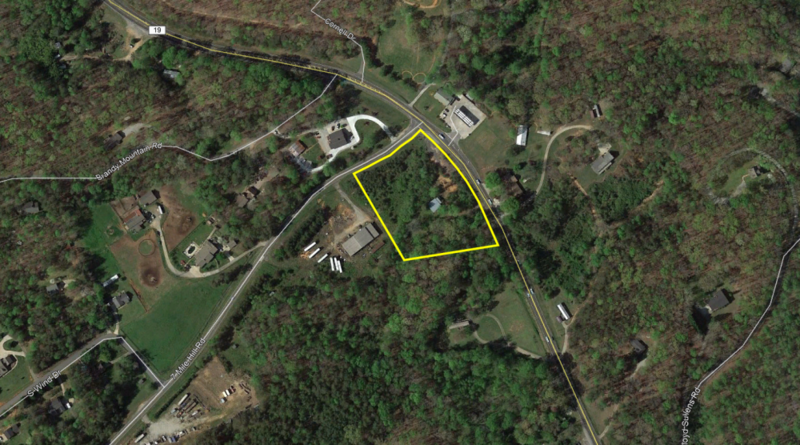 Corner commercial site on Hwy 60 / S Chestatee in scenic Dahlonega, GA. A great location for any neighborhood business. Retail, storage, and most other commercial uses are allowed. Mostly cleared, rolling topography. 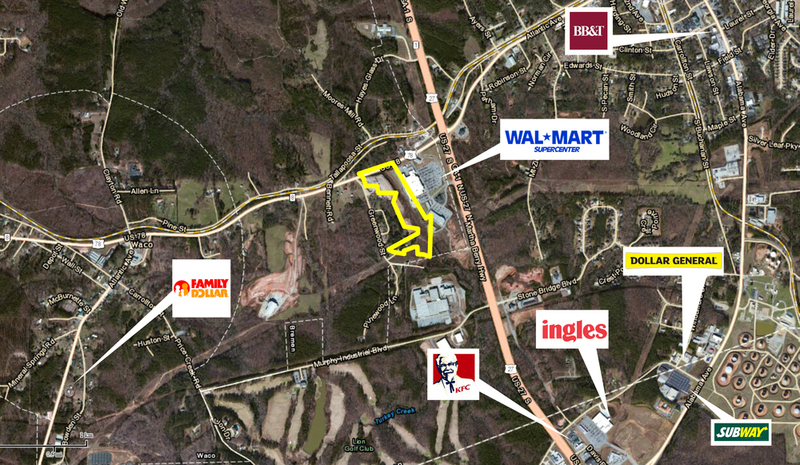 This +/- 20.9 acre vacant land site is adjacent to a Wal-Mart. The tract is zoned C-2 (Neighborhood & Highway Business District). The parcel, just west of the intersection of Bremen Mt. Zion Road and Martha Berry Highway (US 27), is located in a retail corridor which includes Hampton Inn, Days Inn, Valero, McDonald’s, Zaxby’s, Wendy’s and Advanced Auto Parts. Nearby traffic counts on Martha Berry Highway is over 14,040 vehicles per day, and on US 78 is over 7,550 vehicles per day. Bremen is located just north of Interstate 20 in western Georgia. 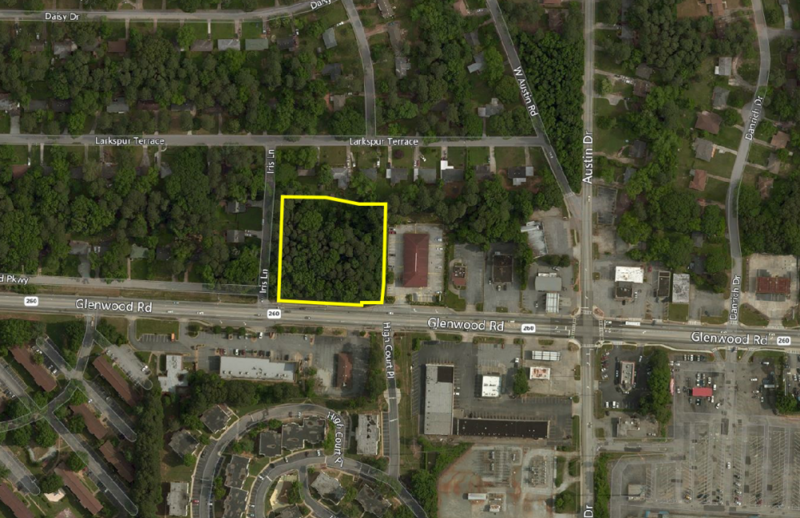 1.86 acre square-shaped parcel just 0.3 miles west (towards Atlanta) from I-285, exit 44 "Glenwood Road". Low carrying cost and strengthening demographics make this site ideal for either an investor looking to buy-and-hold or immediate development into one of the many potential uses. Possible assemblage available up to 20 acres. 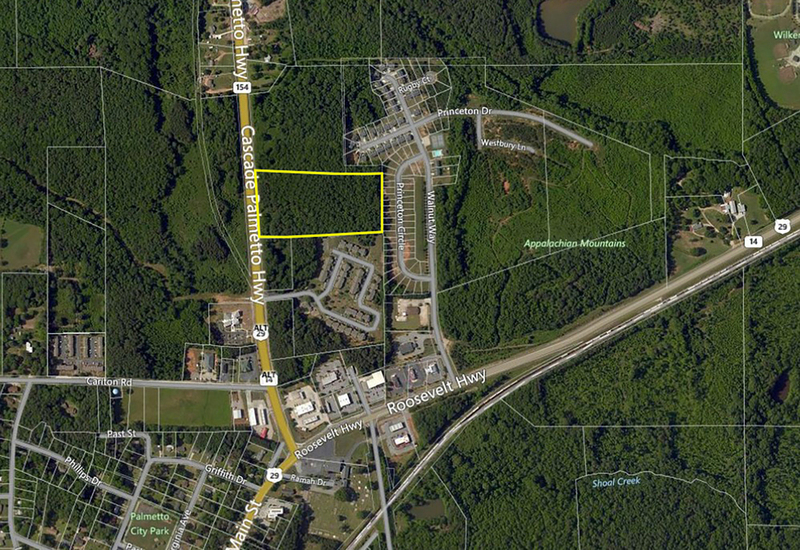 Property is located at the “crossroads” area of northwest Paulding County near the Cobb County line. Near busy intersection of Hiram-Acworth Highway and Dallas-Acworth Highway. Excellent site for additional commercial development. Existing home on the property could be used as a commercial office until time to continue are development. This sale offering is an approximately 4.2 acres and zoned C-2 (General Commercial). 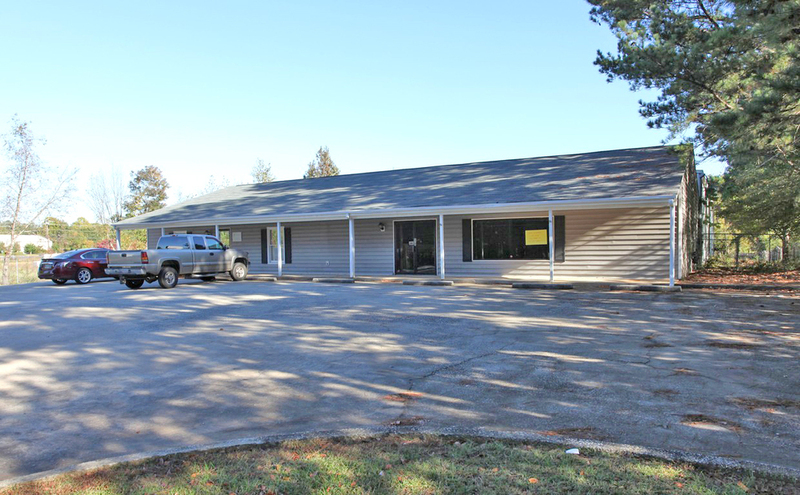 There is an approximately 1,531 SF building on the parcel that would be suitable as an office. Ideal for a landscaper or similar contractor. The property is located in Marietta, less than one mile from the Marietta Square which hosts many popular dining and retail options. 1,605 SF former Bruster's currently operating as independent ice cream shop.